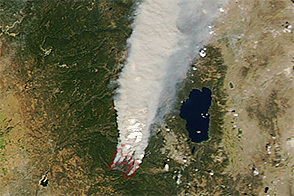 Smoke billows from the Power Fire in northern California on October 13, 2004. 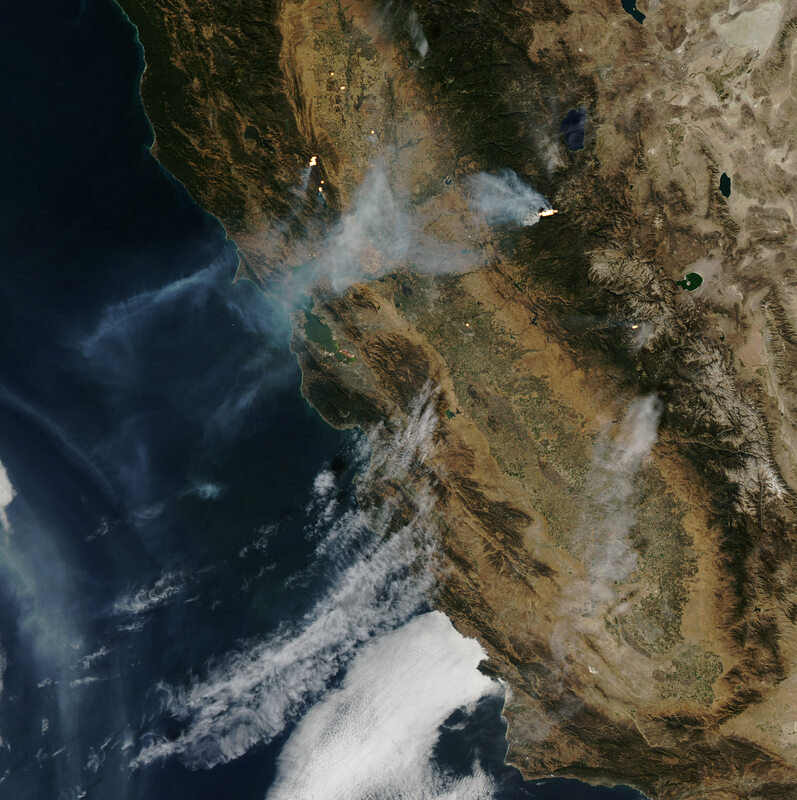 On the previous day, the Rumsey Fire was the culprit, spreading smoke out over the Pacific Ocean in a long plume. 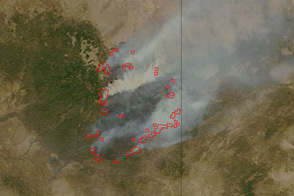 In this image, from the Moderate Resolution Imaging Spectroradiometer (MODIS) on NASA’s Aqua satellite, the Power Fire appears to be more active, while the Rumsey Fire to the west, was less smoky, with active burning (detected by MODIS, and marked in yellow) split between locations at the northern and southern edges of the fire. Like the Rumsey Fire, the Power Fire gained acreage rapidly in just a few days as a result of strong winds. 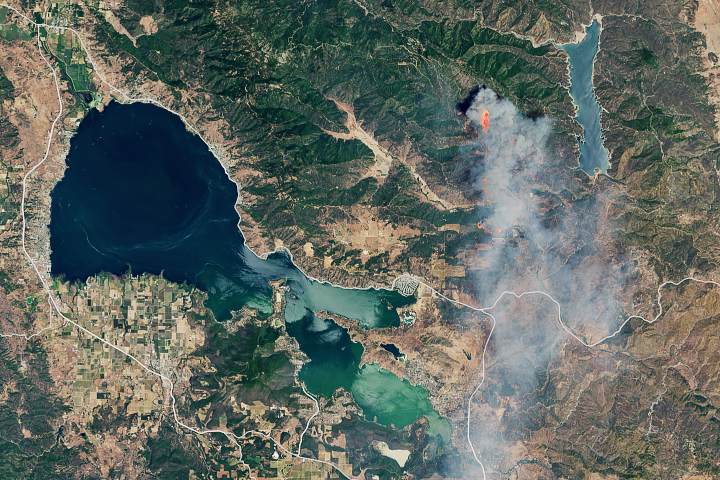 On October 15, the National Interagency Fire Center reported that the Power fire was 12,000 acres and 35 percent contained. The Rumsey Fire was just over 39,000 acres and 71 percent contained. 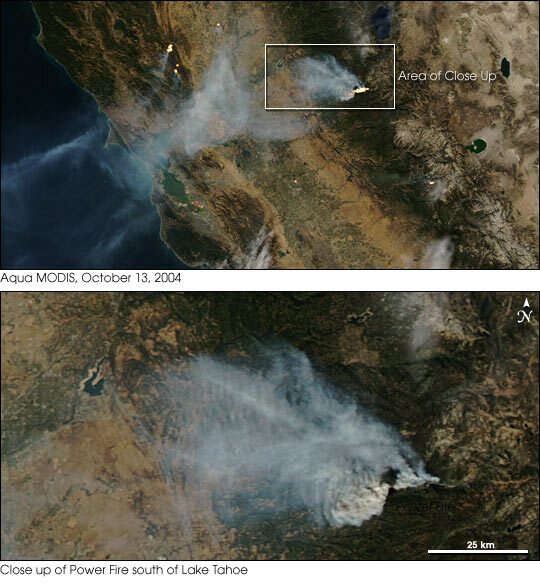 The combined smoke from the Freds and Power Fires in northern California hung thickly in the Sacramento Valley on October 14, 2004. 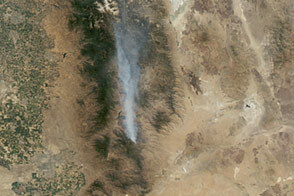 This image of the fires was captured by the MODIS sensor on the Aqua satellite.